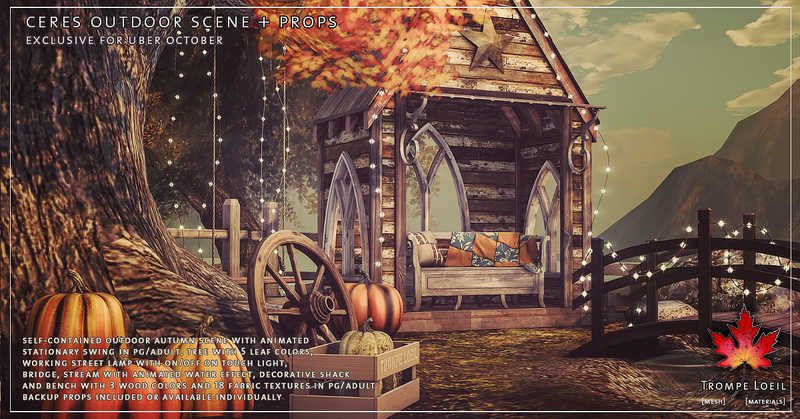 Some days you just want to enjoy the colors of autumn with minimal fuss – curl up with a blanket on a bench, or sit in a tree swing, and watch the peaceful stream flow by. 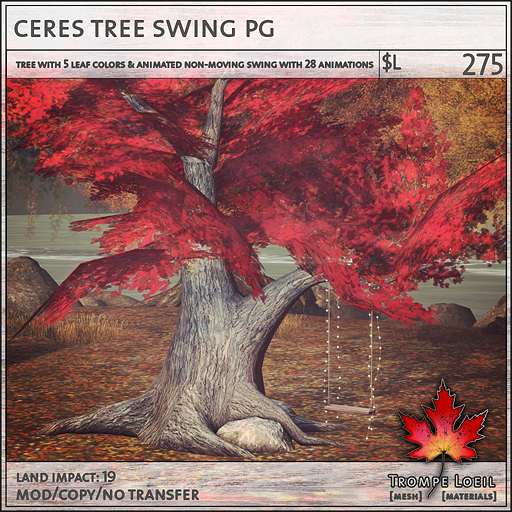 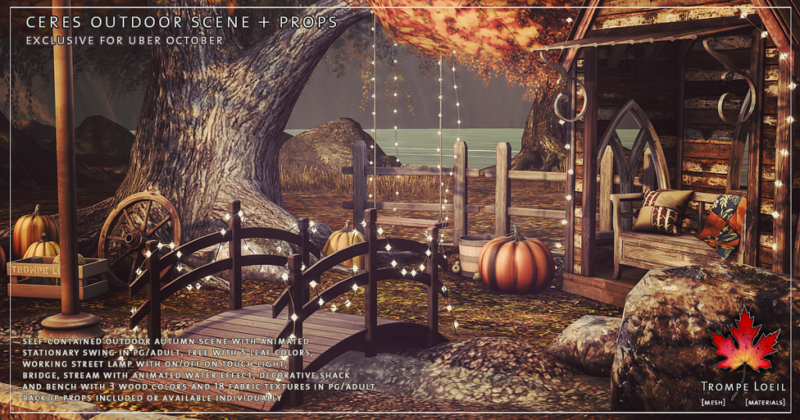 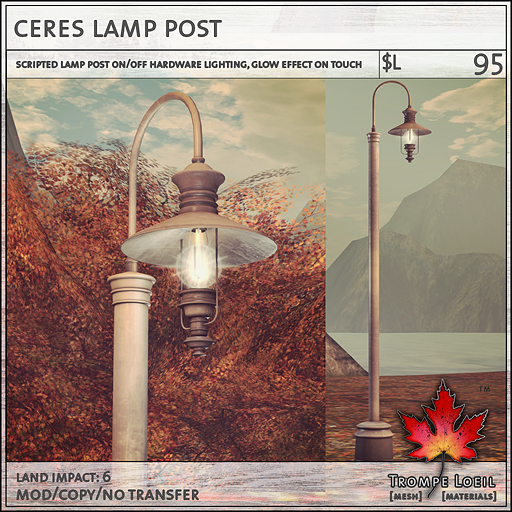 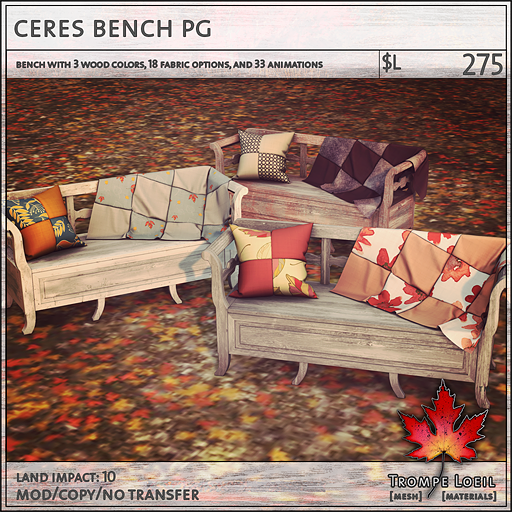 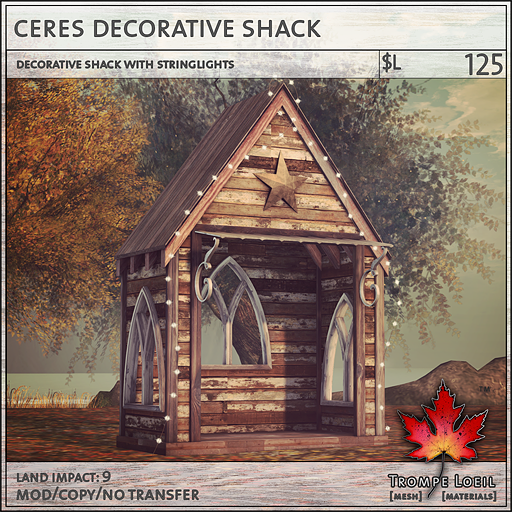 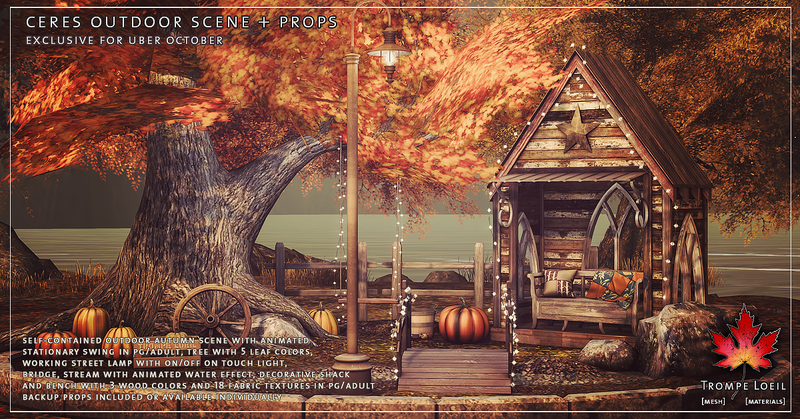 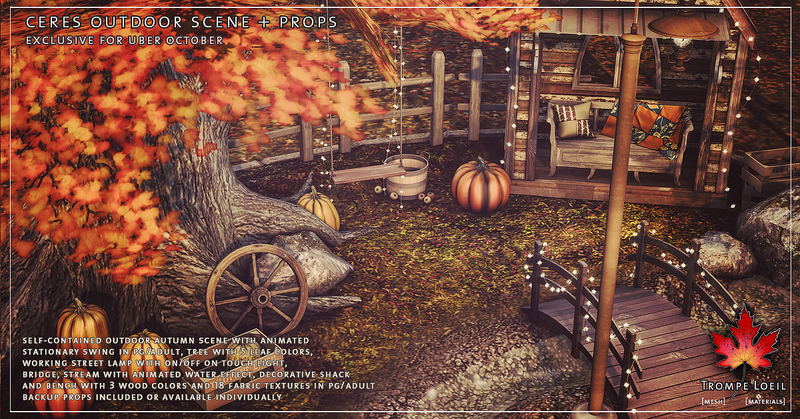 Make it happen, with Trompe Loeil’s new Ceres Outdoor Scene and Props for Uber October! 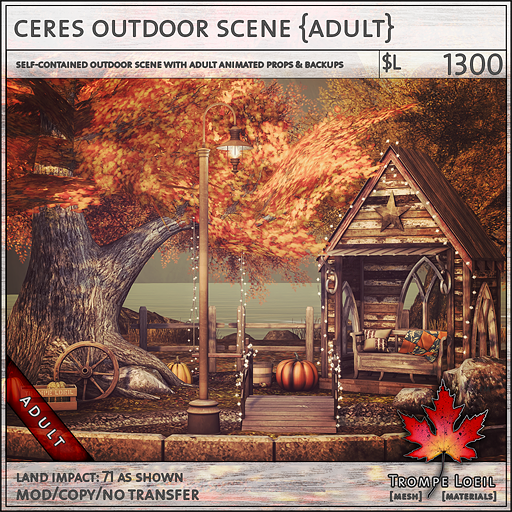 The Ceres Outdoor Scene is a fully self-contained arrangement of autumn’s greatest hits – colorful pumpkins, a gently rounded foot bridge over a peaceful stream, a mighty tree with a hanging swing, and an adorable outdoor shack with rustic bench and a colorful throw blanket and pillow waiting for you! 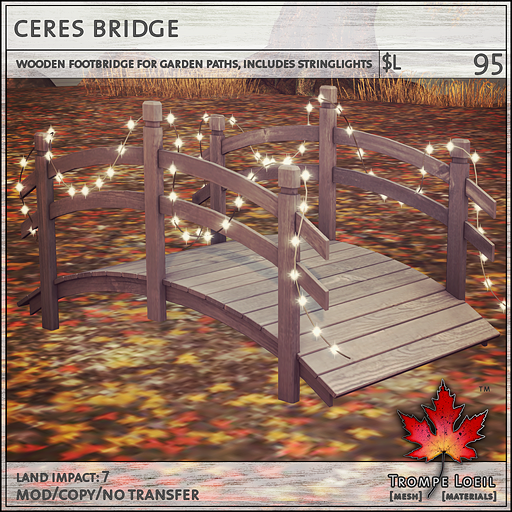 Add a few stringlights for sparkle and a lamp post in the woods to light the way, and you have the perfect seasonal retreat for your yard or outdoor gathering area. So easy and so cute! 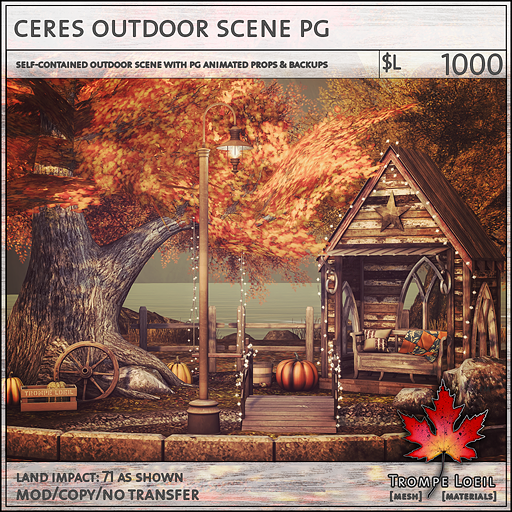 Plus, all the individual elements of the Ceres Outdoor Scene are available on their own – mix and match just your favorites – or get the full Scene and use everything, we include individual backups! 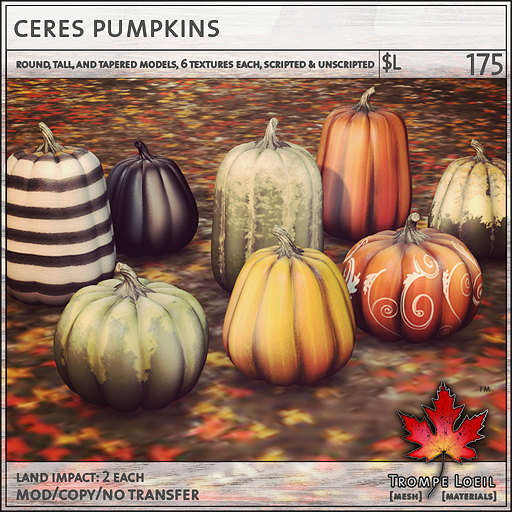 Check out the entire Ceres line at Uber’s October round!